A dragon in the making. 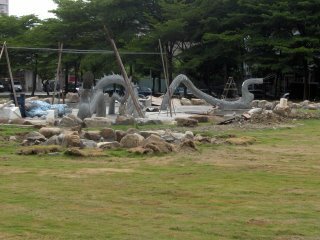 They were building it at one end of a park. I kind of liked this dragon.